It’s time to catch up and post more images I should really have posted more at least once a week but I have simply been to busy taking images so now after three week I have nearly saved 1200 images on my hard drive. The reason being great weather – by great weather I done exactly mean sunny and warm – rather clouds and a bit of rain! Anyway today is great because it raining and we could sleep in until nearly 7.30, have coffee and get the computers going. 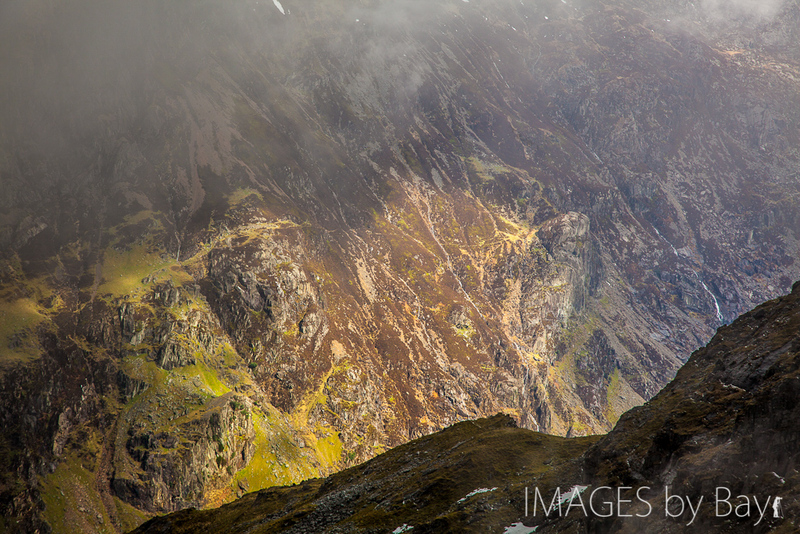 The image is captured on the slopes on Snowdon in Snowdonia National Park. I’ve never been the big mountain climber but considering the beautiful landscape we decided to walk all the way up and take the train down – reasonable and we would not be too exhausted the next day. Remember we carry about 8 kg photo equipment on the back plus water and snacks! I was a great walk with rain, hail, snow and lots of low clouds with some nice minutes of sun in-between. Reaching the top we were very tired and looked forward to the train ride back of the mountain – but guess! Yes, we should have book a space ad the train were already overbooked. Well we just had to walk al the way back down again. Not bad considering we got some extra images on the way down.